Mixer Grinder is an important kitchen appliance which is not possible to think when cooking without making use of a mixer grinder. The mixer Grinder manufacturers have mixer grinders that grind the spices and make them into powder or a paste. There are some aspects which you need to consider in case you want to purchase a mixer grinder. There are different sizes of the mixers available in the market and you have to opt from different alternatives. The best aspect is to purchase the correct size of mixer grinder for the family. One can purchase a small mixer grinder depending on the size of the family. Some of the commercial hand blender India may be utilized in case you have a huge family and wish to prepare food for several people. The mixer grinder is utilized to beat, whip or mix the food or make the food into a small size. The cost of the machine can differ in the market and that depends on the place and manufacturer where you purchase the machine from. The price of a Mixer Grinder differs and that depends on different aspects. It is vital to take into consideration some factors such as warranty of the machine and the material type used to make the machine and also the services accessible. The affordable and local brands are priced low in comparison to the branded mixer grinders. It is recommended to purchase a branded mixer grinder in comparison to purchasing an affordable product that has no warranty. One can check for the product price in the local market or at chain retailers or at online stores The online stores have various discounts and offers where you may get the machine on cash on delivery option. One may also check at local stores and get the finest, affordable price. The mixer grinders have great performance and provide you immense competence and confidence to provide your family with the best when it is meal time. Some of the mixer grinders have 750 watts powerful motor for grinding purposes. They have lasting motors and are great extractors for juicing. They have durable grinding stones and have 150 watts power. The grinders and mixers are great in grinding and blending of the food ingredients. They are nice gadgets which can whip the liquid to make milkshake or chop or grind hard food items. They have durable handles that make the finest cooking experience. A mixer grinder can enhance the cooking preparations and save a great deal of time and effort. A mixer grinder helps you in grinding the food to blend it. One has to place all the ingredients into the mixer and mix them. 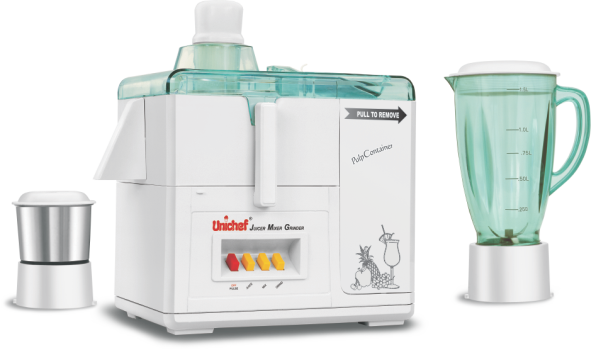 The mixer is useful in case you wish to make curries, chutneys or other sumptuous items. The mixer grinders have great performance and have great power for the wattage. There are some mixer grinders which come with the pulse feature that operates the blades for dry and coarse grinding which depends on the recipe.